Laterite nickel ore resources are surface weathering crust deposits formed by weathering-leaching-sedimentation of nickel sulfide ore bodies. The world’s laterite nickel ore is distributed in tropical countries within 30 degrees north and south of the equator line, concentrated in the tropical-subtropical zone of the Pacific Rim area. 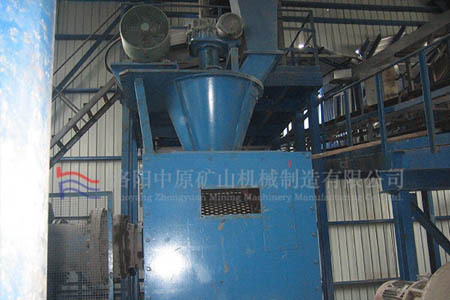 The laterite nickel ore briquetting machine can press the mixed laterite nickel ore powder according to the process requirements of the reduction and roasting to form nickel-containing pellets of different shapes and sizes, which will be delivered to the rotary kiln for reduction and roasting after drying. The finished product after being pressed by the ball press is energy-saving and environmentally friendly and is convenient for storage and processing, which can bring benefits to the enterprise. The ball press ensures that the material can enter the roller area evenly by dosing. The variable frequency speed regulating motor with constant torque provides power for the screw feeding device, the worm gear reducer rotates, and the material enters the main feeding port through the belt. Therefore, it is necessary to ensure that the pressing material content of the screw feeder is equal to the content of the material required by the principal machine to get stable quality pellets. If the feed amount is too small, the briquette cannot be formed; if the feed amount is too large, the feed device will be overloaded. Therefore, the normal operation of the ball press is inseparable from the correct operation and skilled technology.